Where do you stand in relation to a true living wage? 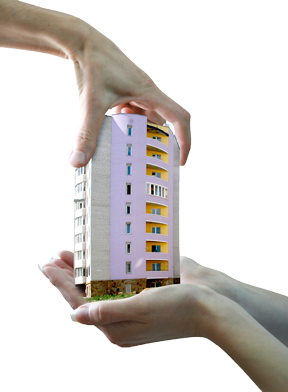 HUD sets FMRs to assure that a sufficient supply of rental housing is available to program participants. The level at which FMRs are set is expressed as a percentile point within the rent distribution of standard quality rental housing units. The current definition used is the 40th percentile rent, the dollar amount below which 40 percent of standard quality rental housing units are rented. The 40th percentile rent is drawn from the distribution of rents for units occupied by recent movers (renter households who moved within the past 15 months). FMRs have been increased to the 50th percentile rent in those metropolitan areas where a fair market rent increase is most needed to promote residential choice, help families move closer to areas of job growth, and deconcentrate poverty. The Department of Housing and Urban Development (HUD) establishes the Fair Market Rents (FMRs) each year throughout the country for each municipality in terms of what a person should expect to have to pay for an efficiency apartment, a one bedroom, a two bedroom, a three bedroom, and a four bedroom apartment. Look up up fair market rents in your community! In order to calculate where you stand in relation to a true living wage, you must have the Fair Market Rent structure for the area in which you live. The FMRs are already calculated by the federal government to determine the wildly successful Section 8 landlord/tenant housing program. See the vast difference in Universal Living Wages in our country! You'll find that the cost of housing is not standing still. FMRs are gross rent estimates; they include shelter rent and the cost of utilities, except telephone. Clearly one size does not fit all. For example, any attempt to meet the minimum wage needs in Santa Cruz, California by paying a wage rate of $7.25 per hour is impossible. (This is why even fully employed minimum wage workers cannot afford housing across this nation.) At the same time, to apply the current federal "cookie cutter" response of "one size fits all" and require the living wage appropriate for Santa Cruz, California of $20.63/hr on the small businesses of Asheville, North Carolina, which only need $9.81/hr, would be tantamount to forcing North Carolina businesses into bankruptcy! This means that we must customize the wage accordingly. In other words, we need to index the wage to the local cost of housing. In this fashion, if a worker works forty hours per week, he/she would be able to afford an efficiency apartment wherever that work is done throughout the USA! At no time does the ULW Campaign recommend any wage standard below the existing Federal Minimum Wage.